Entertainment Cruises will offer a wide variety of cruises throughout summer that are guaranteed to make it one to remember. Guests can enjoy everything from a country music night on the water to an enriching Chicago history cruise sponsored by Chicago History Museum. View the full list of events and details below. Dates available upon request. Country Night Cruises- Guests will be treated to a live country music show in partnership with Joe’s Live, great food and fun this summer on a floating concert venue, the Spirit of Chicago. ‘Cruise into the Weekend’ Series - Including both beer and wine flight cruises, this Thursday night series departs Navy Pier at 8:15pm and will travel for 75 minutes down the Chicago River. The beer flight cruise, titled ‘A Cruise of Blood, Sweat and Beers’, will offer beer flights from Hopothesis Beer Company in tandem with narration about the civil unrest in correlation to beer. At four points throughout the cruise, guests will sample beers including Seadog’s private label, The Flying Buttress. There will be no speedboat ride on this tour and all passengers must be 21 or over. The Wine Flight River Cruises will offer four wine tastings and informative commentary from Seadog Sommelier, Chris Pawlisz, who will discuss all things wine and fine in Chicago. There will be no speedboat ride on this tour and all passengers must be 21 or over. Gospel Lunch Cruise - Guests can enjoy live entertainment, a newly revamped all-you-can-eat-buffet and good fellowship. This two-hour cruise along Chicago’s magnificent lakefront is perfect for an afternoon getaway. Inspired live gospel music will be performed by Tecora Rogers and the Chicago Spirituals. Full Moon Dinner Cruise - Step aboard one of Entertainment Cruises’ three dining boats – Odyssey, Spirit of Chicago, or Mystic Blue – for an unforgettable evening under a star-studded, moonlit sky. Guests can enjoy delicious appetizers and entrées prepared fresh onboard daily. Local mixologists will be serving signature cocktails to accompany dessert. After dinner, guests can stroll to the outside decks and take in the spectacular sights of Chicago when the moon’s at its fullest, illuminating the city skyline. 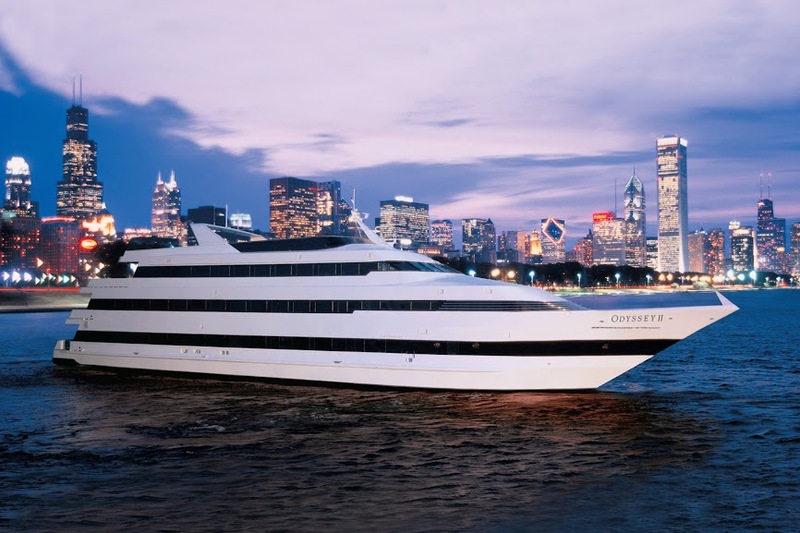 Cabaret Lunch Cruise - This two-hour cruise along Chicago’s magnificent lakefront is perfect for an afternoon getaway, birthday, church group, entertaining out-of-town guests – you name it. Seniors will enjoy this truly interactive entertainment experience with the Spirit of Chicago Cabaret Show. Guests can expect a broad repertoire – everything from sing-along show tunes to jazz standards while incorporating fascinating facts about the iconic Chicago skyline. The Society of American Travel Writers voted the Chicago skyline, as seen from a boat, one of the top ten most spectacular panoramic views in all of America. Chicago History Cruise - This two-hour cruise along Chicago’s magnificent lakefront features exciting views of Chicago’s most famous architecture and landmarks. Guests can cruise and delight in Spirit of Chicago’s new menus by Chopped champion Chef Eric B LeVine, sit back and learn about Chicago’s history and iconic buildings with narration provided by Chicago History Museum’s expert curatorial staff, including Jill Austin, Joy Bivins, Libby Mahoney, John Russick and Petra Slinkard. 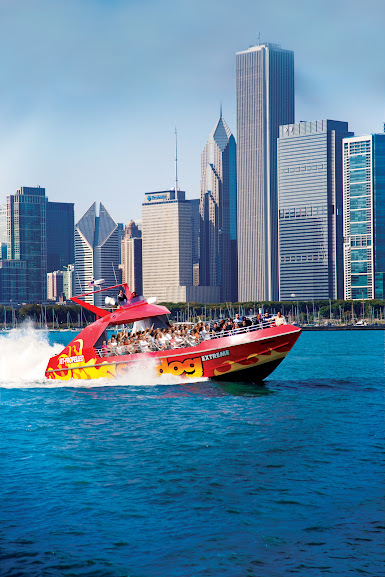 Seadog & Chicago Children’s Museum Package -Seadog Cruises and Chicago Children’s Museum have come together to offer a special Lakefront Speedboat Tour and Museum Admission Package. Guests can enjoy a 30-minute Lakefront Speedboat Tour jam-packed with music, entertainment and fun. Pair the speedboat ride with a visit to Chicago Children’s Museum, located at Navy Pier, where exhibits and playful programs invite kids and their families to splash, climb, build, create, explore and discover. This April, Seadog, Chicago’s premier speedboat, offers three unique adventures on Lake Michigan. Passengers are invited to take a tour of the Chicago skyline on the 30-Minute Lakefront Speedboat tour, fully equipped with a brief narration and music. Those looking for a little Chicago history can sit back and enjoy the Lakefront view of the city skyline, as well as the up-close views from the Chicago River on the fully narrated and humorous 75-Minute River and Lake Architectural Tour. Guests can also choose to take a ride on the thrilling water rollercoaster, Seadog Extreme. Information on Specialty Cruises such as Beer and Wine Flight Cruises, Sunset Cruises and Firework Cruises for the 2014 season will be forthcoming. As always, Chicagoans are invited to bring their dogs on their lakefront joyride – dogs cruise free on the Seadog. Seating is subject to availability. In addition, Entertainment Cruises and Seadog are pleased to announce its capabilities for docking at alternate locations including McCormick Place and, new this year, Marina City, located near The House of Blues, The Kinzie Hotel, Hotel Chicago, The Trump, Westin and the Langham. This completely customizable service is ideal for groups of 20 or more seeking a unique transportation option to and from Navy Pier. Perfect for large parties, happy hours, dinners, corporate functions and more, patrons can enjoy a number of signature tours and drop anchor at the new docking spots. Food and Drink can be arranged through Harry Caray’s. Groups of 20 or more are required to charter the boat for alternate docking locations. Charters start at $1500. This spring, Entertainment Cruises offers guests 15% off their Seadog Lakefront Speedboat Tour orders, March 31 through April 30. Guests can use promo code BLAST15. Restrictions: Valid Sunday through Friday only. Not to be combined with other offers. Certain restrictions apply. Subject to availability. Limit one discount per order. Cruises may be available sooner, weather permitting. Children three and under cruise for free. Prices are per person and exclude taxes and other fees. RESERVE: Reservations must be made in advance online at www.seadogcruises.com or by calling 888.636.7737.